the many immigrants that flock to the city in search of jobs. Visitors will find Jakarta has several performing art centers, cultural institutions, and a range of hotels like The Dharmawangsa and Hotel Indonesia Kempinski. Museums cluster around the Central Jakarta Merdeka Square area, Jakarta Old Town, and Taman Mini Indonesia Indah. The city also boasts a vast range of food available at hundreds of dining opportunities located all over the city, from modest street-side food stalls and traveling vendors to the high-class expensive restaurants. season, which often brings torrential downpours, occurs every year between October and March, and because the city is below sea level, streets flood easily and strain an ill-equipped drainage system. Sure, there are better hotel deals during this time, but sightseeing in full rain gear can make for an uncomfortable affair. 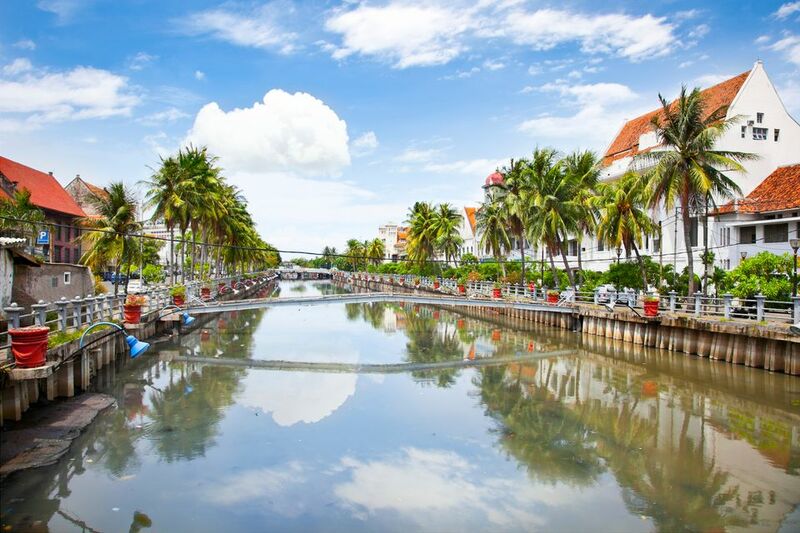 This vibrant city is best experienced with a little sunblock during the dry season (April - September). Jakarta is a city in Indonesia that you really need to visit because this city is very miteropolitan with Asian culinary snacks that you really like. Setting aside traffic, there is much more to Jakarta than meets the eye. It is a dynamic city and needs getting used too. I love the people. I only stayed for a short while but I want to stay longer next time. Many places to visit and have lots choices for foods. You can find food from all over Indonesia here. A bustling and lively capital city of Indonesia. You will have a taste of food, entertainment and lifestyle of this rising consumer nation. Just be patient with the traffic. This sprawling metropolis represents 2 things that I love -- big cities and Indonesia. Unfortuantely, the big city is just a bit too big for her infrastructure so the traffic and grit make travel here feel a bit constrained. A difficult place for pedestrians. Plan to spend a lot of time in traffic but look forward to the reward of good food and gorgeous enclaves once you can find them. Jakarta is the teeming, broiling megalopolis of my formative years. Being a expat brat at Jakarta International School (JIS), I found my fair share of mischief to get into but still found the cultural differences to be fascinating and I certainly didn't mind being called 'Tuan Jackson' (Lord Jackson). Rackino, our houseboy, Pok Pono, our gardener and Sithswardi, our driver were all too willing to indulge me in my never ending quest for even more powerful fireworks. The kampong was never so much fun with them as my guides through the long nights of Ramadan and the eternal stories of the shadowy world of the Wayang Kulit that played out just on the other side of our concrete and bobbed wire fence. My only regret is that I didn't pay more attention in my Bahasa Indonesian class at JIS. Affectionately known as "The Big Durian", the sprawling, disorganized and chaotic (and, yes, stinking) megalopolis of Jakarta is worth a night or two in your travels through the island of Java, if only to get a perspective on the true face of the modern, business-oriented Indonesia. While the city lacks sights (you'll notice your guidebook is stretching to find you things to do here), it's also a cosmopolitan place with some of the country's best international dining, and lots and lots of ultra-luxe shopping malls to explore (I once spent three solid hours lost in the city wandering from back alley to mall to different back alley and into a different mall). Jakarta also has a famous (and famously drug-fueled) party scene, and while reports of the city's dangers are largely exaggerated, you may want to be on your guard at night. Great place to find cheap things in Jakarta. Clothing, pants, underwear, kid's clothing, bow, bag, buttons, toys, party supplies (limited), office supplies. All things are "Made in China" so expect quality would detoriate in a year (or in a few months). Huge place, careful not to get lost. Would suggest to take a cab because parking is dreadful (unless you have a driver); another alternative is to come early around 10ish. Mangga Dua has banks inside as well - BCA, Danamon, to name a few. Food are plenty - from American fast food to local dishes. Very nice place. The people are so nice. I would love to come back and explore this place a bit more and take a trip to Bali.